26th June 2003, it was raining hard and we had a rock solid plan. That night we drove down ~350kms on bad unknown roads and had the trip of our lives it lasted a couple of days. 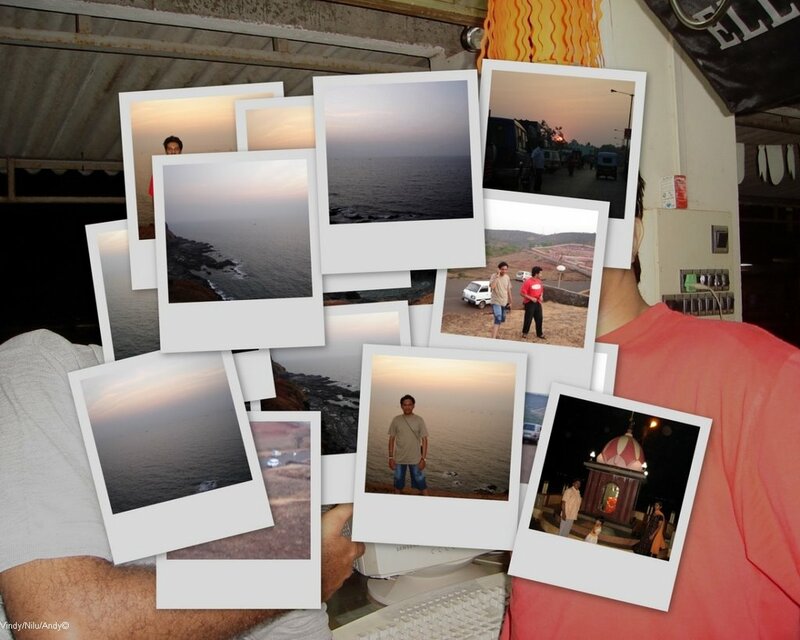 Two years had gone by and Prasad was getting furious over our regular cancellations of another trip to “Ratnagiri”. Finally we coined the date to 19th Jan '07 and return by 21st. 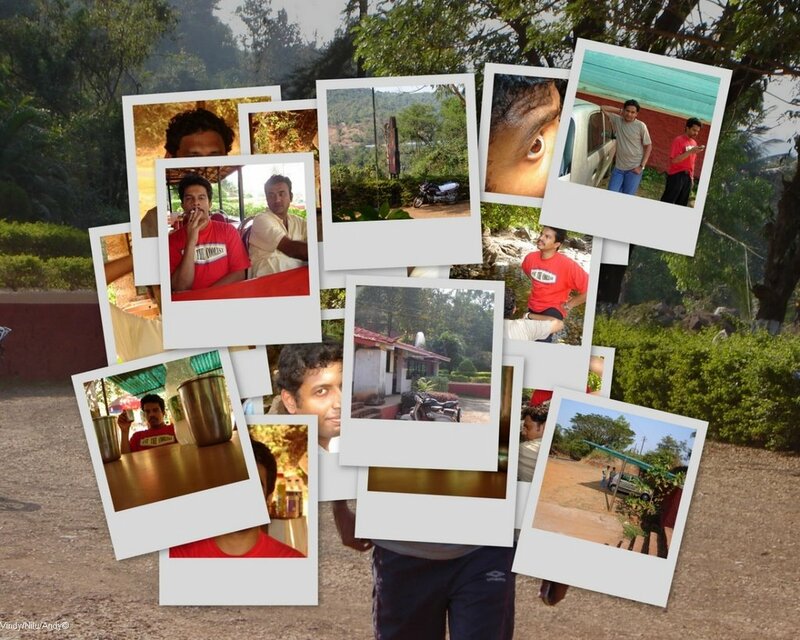 Having Pritam as a drop out- Nilu, Andya and myself were all set for the next long endeavor. 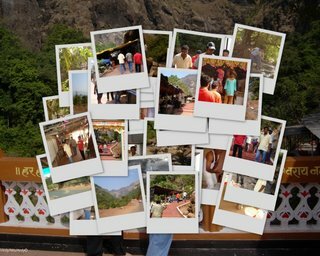 The following few days again was set to be tagged as one of the most memorable of trips we had in a long time! 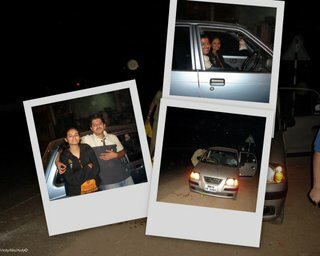 It was roughly 10:30pm by the time we left “Kamat” hotel to embark on the night trip. The whole reason for the delay was keeping in mind an 8 hour drive- we’d be at Prasad’s place by ~9am (max!). Enroute we met up with Pritam and his to-be better half, after some quick round of introductions and giggle giggle laugh laugh we were in the Katraj by-pass at about 11:40pm. The route we planned to take was the same old school road viz. Pune->Satara Road->Umbraj->Chiplun->HathKhamba->Ratnagiri. This was supposedly the shortest route (by the end of the trip we were to discover this was also the fastest route to south Konkan!). 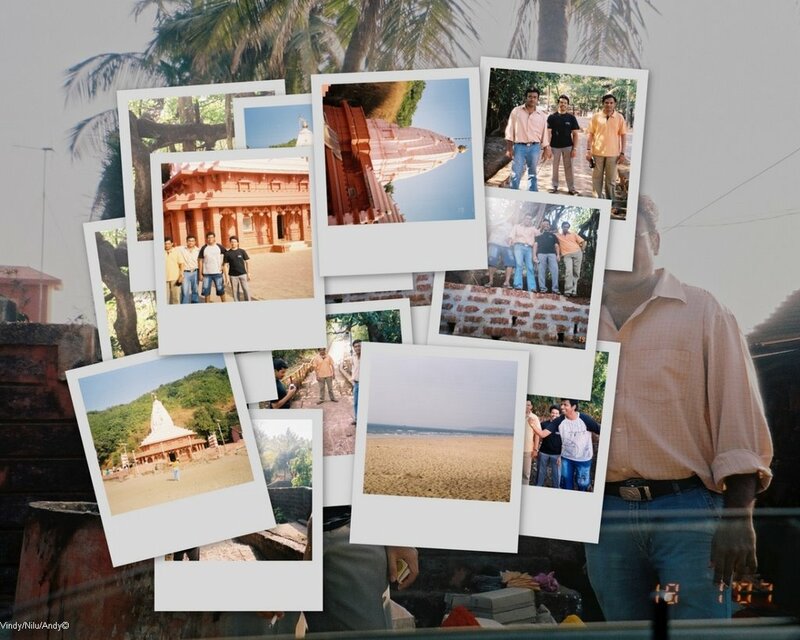 Once we hit “Satara Road”, we took a couple of halts here and there to either stretch ourselves or have a cup of tea. Very soon in a couple of hours our eyes were peeled for the “Karad” board. The logic was “Umbraj” was at ~20kms from “Karad” so once we spot the 20kms milestone we were to take a right for “Chiplun” under some flyover. Soon we arrived at “Umbraj” and after some hunting around for the right turn and help from armed cops we were very much off “Satara Road” and headed for “Chiplun”! The time was ticking at about 2am. 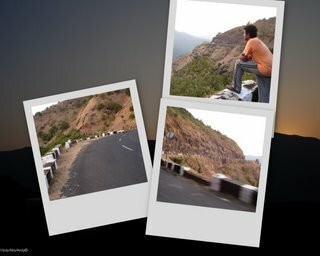 Soon we started negotiating around the wild “Koyna Ghat” turns with me swaying from side to side and finaly we came on some level road, which quickly transformed to snake turns as we ascended “Amba Ghat”. I was in dream land:). 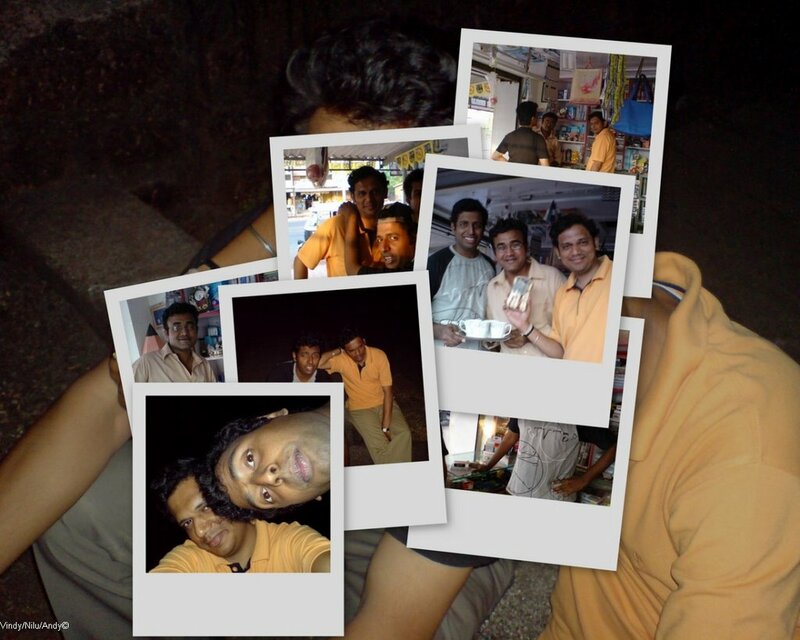 All I remember next was we were at Chiplun and Nilu took a long deserved break at a roadside tea stall. It was ~4:30am. “Omelet paav” tea was enough to refresh ourselves and we hit the road soon for “HathKhamba”. In a bid to reach by 6 we decided to drive slow :). Finally we arrived at “HathKhamba” at around 6am. 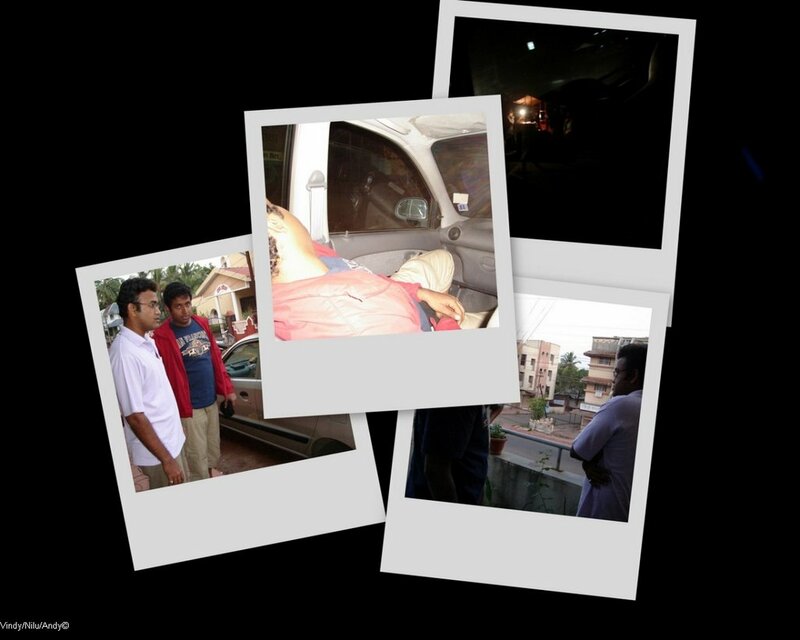 Here we decided to take a nap till about 7 and then call Prasad who would direct us from there to his house. Prasad stood by a tea stall near some factory, which we found after numerous enquires, where we had a fist few sips of “good morning” tea and then in a few minutes the soggy eyed “us” arrived at ‘villa ‘la ‘Prasad. It was 7:10am. Start of Day 2 (or should I say End of Day 1). We knew we needed a lot of rest, and yes we wanted that. 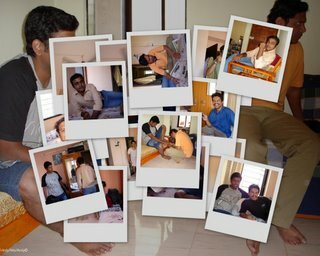 No sooner did we get to Prasad’s room did we jump for the cozy wonderful soft cool bed. So his parents said “Yeah! 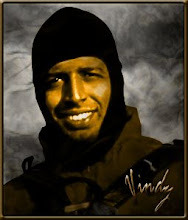 Better sleep off…” Some little chitter chatter and in no time all I remember was Nilesh talking over the phone and Andya snoring his guts hard. Nilu sounded worried. His grandpa had expired at ~10am. He was considering driving to “Murud” but that was a good 7 hours from here, so after numerous calls and finally making some arrangements for his parents to travel from “Pune” to “Murud”, he decided not to go. It was ~11:30am. Slowly Andya was up too and Prasad pounced over us for “Great Morning”. Lots of “talk and fooling around” later we started hitting the bathroom (lots of rest room for me :)) one after another. Prasad’s mom prepared some amazing “Pohe” and tea of breakfast! Soon morning took over by afternoon and we relished on some yummy lunch! It was simply fantabulous! All said and done and eaten we decided to hit the road. This time around I was to drive Yippie!!!! The clock was ticking at 2pm. So off we drove down the Empty road, as it got narrow we took a left and headed over a bridge a nd finally took a right to “Baga” beach. I could recollect all this from our previous trip! It was too hot and made no sense to stroll on the beach, there was a resort bang on the beach, which was owned by Prasad’s friend. The whole reason we came here was to find out if we could get a place for the night to spend some quality time out. Unfortunately his friend was out and so the plan was out. Well we said “no probs” and decided to drive down to “GanapatiPule”. 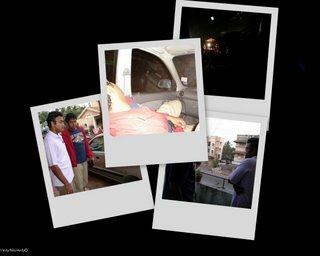 Prasad decided to take us down some crooked inner streets towards the destination, soon Nilu steered us through the cramped inner streets of old “Ratnagiri” which were followed by the ascending/descending narrow turns through thickets. Finally we were atop a plateau and followed a bus as we could spot the distant beach and finally hit the road that led us to the foot of the “GanapatiPule” temple. 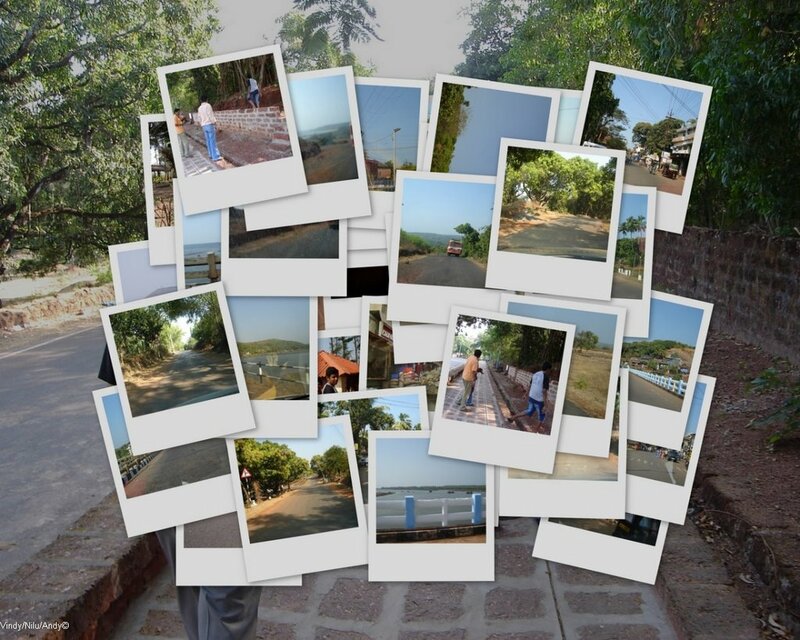 Here we took a “Pradakshina” of the sacred-hill (I guess it is). Took a lot of snaps and wore the battery off the camera, out came Nilu’s remote controlled old school ISO 100 rated film camera! Click click click we walked our way to the quadrangle for the Ganapati temple. It was too hot so we went inside did some “Puja” and finally walked out down to the beach and back to some stalls for some refreshments (“taak”, “solkadi”, tea, “kokam sarbat”). Soon we were driving down the highway towards “Hathkhamba” after negotiating some amazing ups and downs (roads) under my hood. It was ~5:30pm by the time were back home. Prasad was in a hurry to return, as it was time for his shop to open up. We decided not to go up and sit right down with him at his business. I dunno how good associates we made - all we did was yap and giggle around and kill some mosquitoes and later try all nooks to crash his computer. Soon Prasad’s mom prepared tea so down at the shop we had tea with tasty “nankattais”. In some time we decided to take a walk down the street adjoining the shop. We sat at the side of a crossroad and were behaving like drunks singing all sorts of songs and with Andya smoking the ambience. Lazing around and letting people have all their suspicious eyes set, we at last made our way back to the shop and up home. Prasad’s dad helped us decide on what we should be doing the next day and finally “Marleshwar” was set schedule after dumping a couple options. 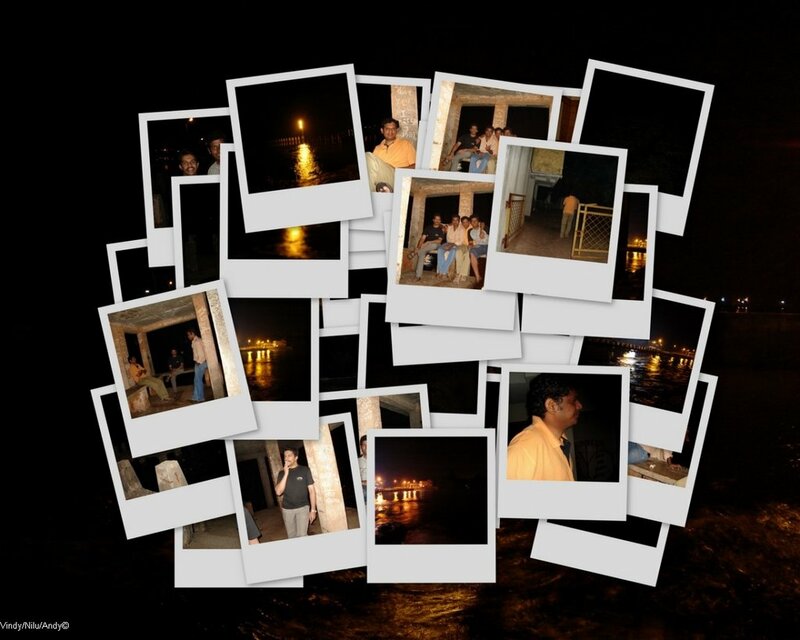 Now we decided to have some Konkani dinner and guide Prasad knew just the right spot, we drove down the road and finally took a U-turn for a hotel called “Amantran”. This hotel was small, but the food felt like were at a five star hotel! Oh my god- such amazing food the “solkadi” was just fantastic, the food was yummy and the non-veggies had fish after fish :). Post the stomach session Prasad took us down to this river front (actually an ocean front :D) called “Mandavi” It was ~10:30pm when we got there. Here we walked down the whole length as we recollected memories from our past trip and finally let the discussion turn around in every direction as we sat at this little stony structure. Lots of talking, joking smoking later we headed back for the vehicle and back home it was ~12:30 by the time we switched off the lights! Morning started with Andya cleaning himself and his belongings and then getting me an early start of day, it was roughly 7 am. Eventually everyone came up with the sun going even higher and by 8:30 the breakfast (delicious “upma” and tea) was all served and done! It was ~9am by the time we got down and were ready for the drive to “Marleshwar”. This was a holy place, that had a natural “shivling” and live snakes around it (yieeks?!??!!) and also a waterfall that was around 365 days year! We had to take a halt at “Hathkhamba” petrol pump since the indicator showed pretty low. “Smoking” for Prasad :D. Soon we re- tracked the “Goa” highway till “Sangameshwar” from where we took a right to the little narrow roads that eventually went by the ghat roads and then towards the mountains where lay the village of “Maral”. The road twisted and twined down and finally on a straight dirt track went past the “Maral” village. We took a halt at a local tea stall. Here we ordered some tea, while the tea was being prepared we decided to explore behind the stall. There was this dry riverbed, which had little water but the place was amazing. Here we spent a lot of time on the rocks and finally went back up to have sweet tea! According to the stall owner “Marleshwar” was just some 5 minutes away. No sooner did we leave the tea stall did we arrive at the foothills of the cave. This place was crowded! It felt like it was an oasis amidst no-mans land! Here we got rid of the footwear and started to climb the red steps that went up to the cave. It was a sweaty experience under the afternoon sun. There were these little shops selling all sorts of refreshments lined up alongside the steps in little pockets. Soon we came up to a platform and along side on the mountain face was this little cave. People were coming in and out of this little opening. It was barley 4 feet high. It was ~12pm. We went in one by one. It was dark and pretty spacious inside. To the left was the “shivling” -did not seem any different to me it was barred of by some iron bars- to the centre was the “nandi” and to the right were these golden snake statues underneath which were the crawling live snakes! 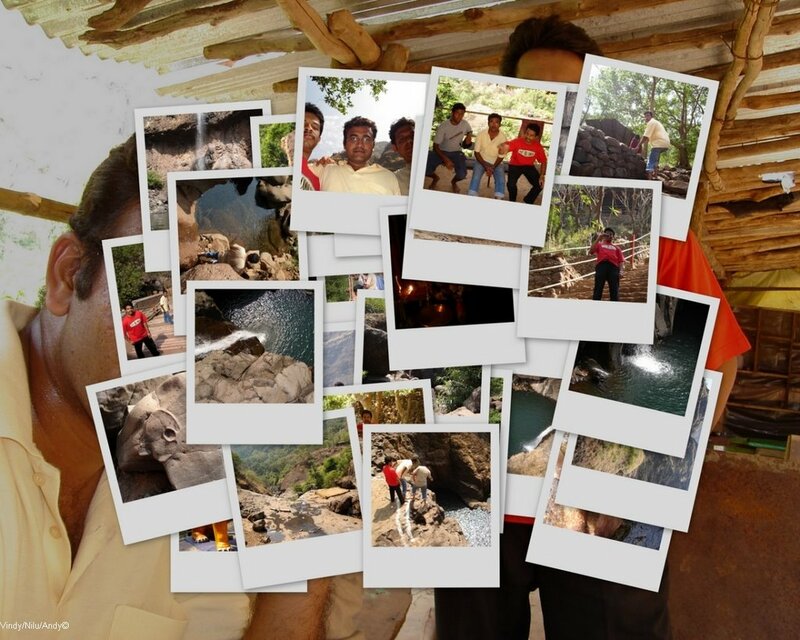 Well they did nothing (none of us, except nilesh noticed the bunch full of snakes). Once outside, to the north of the platform was the closing face of the mountain in the distance from which came down a beautiful waterfall! To the left below the water went down the hill a couple of waterfalls and finally to the river behind the tea-stall (we could not see it from here, but yes it went there). After some snaps and looking around, we went down the steps to the north and hiked around boulders and rocks towards the waterfall. The walk was fun. Once the obstacle course was done we came in front of this little water lake and the waterfall was on the other side. Unfortunately, having no change of clothes we just walked over to the other side and sat around a bit and finally returned. Once at the base of the steps there were some more temples to the right so we decided to visit one of them. Went up one and sat in the cool quadrangle and after some snaps and talk came to the start of another little waterfall, took some quick snaps and returned back up the fleet of steps and finally went past the cave (a bypass set of steps was setup for the same we took that), and finally to the steps that led down to the parking lot. We had “taak”, “limbu sarbat”, “kokam sarbat”, “avla sarbat” at one of the stalls and eventually returned back to the car. It was ~1pm. On the way back we stopped by at the same tea stall, had some more quality time at the shop and the dry riverbed with lots of talk and jokes. The shop’s helper boy really enjoyed our nonsense talk! Finally on our way back, we decided to ditch the “sangameshwar” visit due to press of time and finally on the “Goa” highway planned to halt at a restaurant for lunch. Here we had some “tallis”, but the food was not all that good. Finally after a relaxing halt and a lot more talk and rlaxation we drove back to “Hathkhamba” and finally back home. It was ~4:30pm. 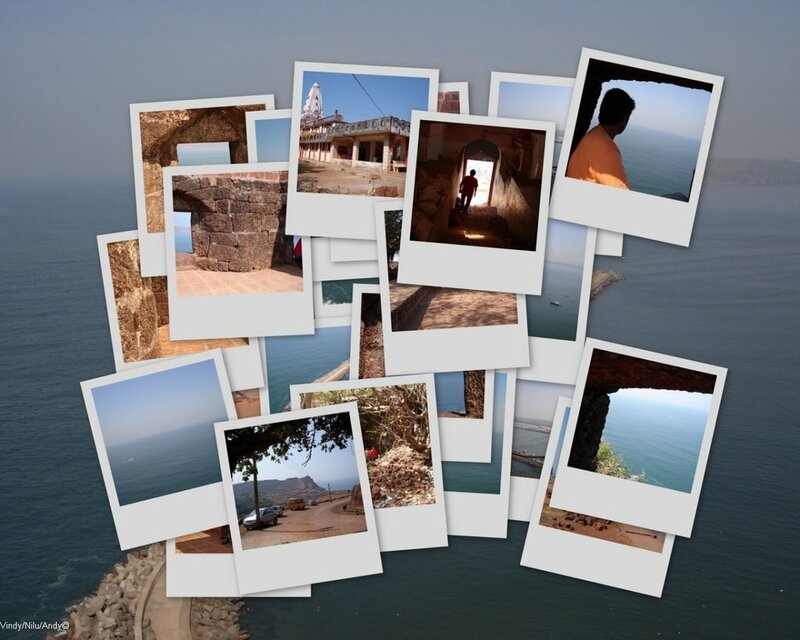 Back home we relaxed a little and then decided to go to the “Bhagavati mandir” that’s atop a hill facing the ocean. Prasad could not join us for the trip, as he had to take care of his shop, so the three of us took directions and drove down fast to the base of the hill. Post some quick enquiries we got the right route and were told that we were late as the temple closes at 6pm, so we could not get inside. We still went up parked the vehicle and finally went on one side of the hill that had this wonderful sit-out. Post some exploration along the hillside for some wondrous views we finally came down to the sit out. We sat for sometime looking at the endless ocean as it started to fade with the light. It was getting dark so we drove back down and went to “Mandavi” again. Here we went to the little beach next to it, had some “shevpuri” and “bhel” at the little beach “thella” and finally went to the waterfront and spent some time and returned back home to Prasad’s shop. The time was ~8:30pm. Sat around the shop for sometime, then finally helped Prasad to shift some things to his school where they were putting up the stage for the upcoming “Maagh mahinyachi Ganapati” celebrations. Post this we drove down to a hotel where we could have some drinks. Well nilesh wanted to have “Solkadi” so we went to “Amantran” again where he and me had the drink, post that we drove down to the hotel. At the hotel we had typical Punjabi food followed by some liquor. Had a great time talking and discussing allsorts of things and philosophies and at last once all was done we drove back. It was ~1am when the lights went out. Next day started the same the previous did, just that today we was our last day and we had to leave by ~3pm. Breakfast was amazing with “Puri bhaji” and tea, and yes we had it with the lip smacking “Konkani techa”. The plan for today was to drive down to “Bhagavati” and then visit a place called “Pawas” if time permitted. Finally after all the morning routines and sluggishness we were all ready for the new day! At roughly 10:30 we (except Prasad) drove down to “Bagawati”, and went up to the temple. The place was under renovation and it seemed to have a lot of new fort walls being built. We roamed around a little and finally settled down at one of the lookouts. I picked one stone window while Nilesh did another and Andya sat back in the shade. Maybe our timing was perfect, the sea looked deep blue and the sky in its true blue. Down below was this white narrow walk fenced with angled bounders that extended along an arch into the ocean and up ahead was the lighthouse atop a hill on the other side of the bay. To the left lay the endless ocean, which extended far beyond as it kissed the blue sky at the horizon. The view was simply fantabulous, I was quiet and grew quieter, and my mind broke free and relaxed into meditation. I wish I could sit there forever. It was so perfect. I did not want to be disturbed, the surroundings did not want to be disturbed the breeze was cool and the ocean spoke a million whispers. Alas all good things come to an end :(. 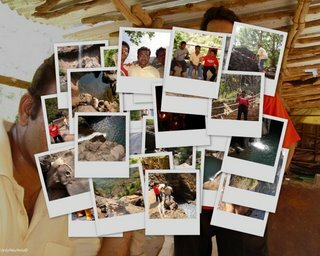 We had a time constraint and had to move on, so some quick snaps later we paid a visit to the “Bhagavati temple” and finally explored an old ditch, which in reality was a well. Finally we had to leave so went back the donkey steps and drove back till a square called “Ghata Sthamba” were we were to take a right to go towards “Pawas”. The time was ~11:30am. We had time, so we took the ~20kms road. 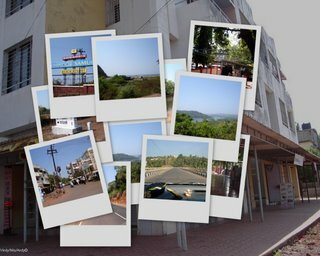 The road went from the city and they via “Baga beach” road along side a resort “Kohinoor resort” away from “Ratnagiri” and then down a curling long Ghat road towards “Pawas”. “Pawas” has this Vitthoba temple, which is very picturesque. We had no idea we were going to pay visit to a “Samadhi”/ meditation place. 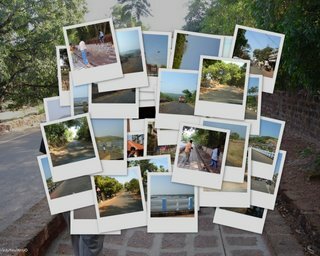 “Pawas” is a wonderfull little village, the road went along side a river and finally uphill to this “Samadhi” –“Swami Swaroopanand”. The place was good, pretty much like a miniature “Eskon” temple. Here we paid our respect to the “Swami”, had a calm composed meditation session at the meditation room, and finally retreated back to “Ratnagiri”. The day was full of mind relaxation sessions –I WAS GETTING CRANKY, and that reflected all through me. So we drove back via the ghat and were finally back home by 1pm. Here we relaxed for sometime and at about 1:30 went back for lunch at “Amantran”. Today was Sunday and they serve “Wadas”. “Wada” is not a “batata or medhu wada” its something like a “Puri”. Well we had an amazing stomach full of food. Nilu and me loved the “Konkani techa” so decided to hunt around for the same in the “Bazaar Peth” area. We drove around all possible lanes and roads and visited all possible shops but no one had what we wanted, Nilu purchased some sweets for the record :). We were back home by 3pm. We quickly freshened ourselves up and were all ready for the ride back home! E veryone except Nilu was in a hurry :D. We bid our farewells and left from Prasad’s place at about 3:30pm. The remainder of the drive was simply backtracking the road all the way to Pune. 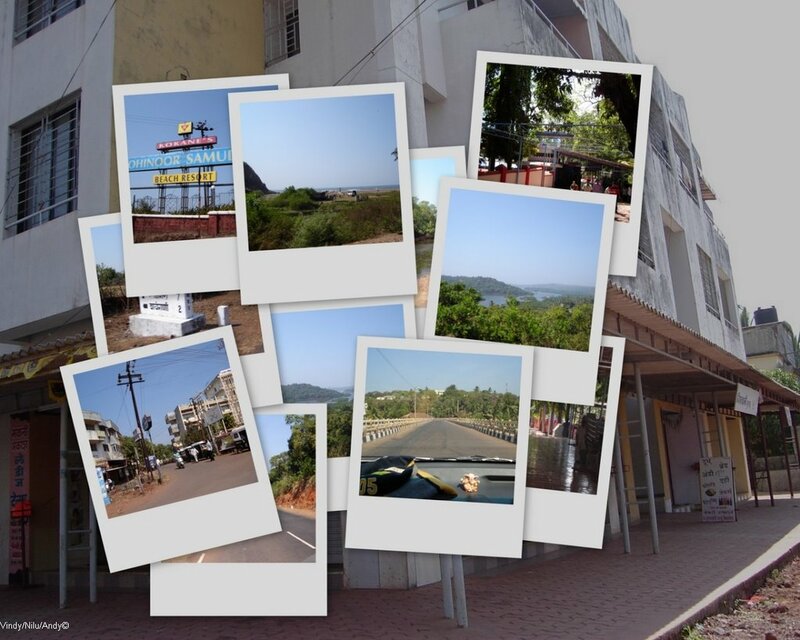 Goa highway was a little crowded but finally after “Chiplun” as we entered the Ghats it was -us and the roads. Enroute we took halt at a little tea stall where we had some refreshments. Finally we took another wonderful halt at Amba-Ghat, which gave beautiful views of the valley. 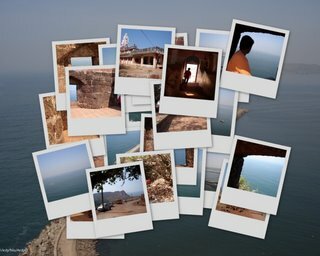 Eventually post some enquiries, we got a road that went past the “Koyana Ghat”, eventually we got back to “Satara Road” via “Umbraj”, post a few relaxations halts we bypassed “Khambatki” and “Katraj” ghats and were back home by 9:30pm! 6 hours flat! It was a wonderful trip and a trip with so many memories (:) ) to cherish!